I believe that designed objects and physical products can be endearing when empathy and understanding is involved in the design process. We have instinctual and emotional responses to some objects that carry narrative and nostalgia through visual associations. These objects are more personally relatable when we inform design decisions with our innate abilities to feel and understand the experiences of others. Empathy has a broad range of meanings though the most common terms are Cognitive Empathy and Affective Empathy. Cognitive Empathy is simply the ability to understand how those around you emotionally feel and what they are thinking. This is hypothetically being able to predict what someone is thinking and is referred to as “mind reading”. Affective Empathy is appropriately responding to what someone is feeling or thinking ( Decety ). For instance, when you are listening to someone telling your something about their day and their voice and facial expressions are showing qualities of sadness. We tend to be affected by this story and we mimic those expressions in response. It is thought that we evolved to develop this ability to deal with complex social situations. Cognitive empathy helps predict the behavior of other humans. This type of empathy helps us successfully engage in social conversation. It is a driving factor in guiding parents’s behavior while nurturing their children, but is also used by children to strategically influence their parents behavior from a young age (Smith). Affective empathy influences our concern and devotion towards our family and friends. It is what makes us care about one another in an unselfish way and influences social groups and inclusion. Cognitive Empathy is more knowing while Affective Empathy is more feeling, though everyone have different spectrums of these abilities. Both Cognitive and Affective empathy are distinct methods to understand another’s perspective , but the combination of the two helps us truly understand experiences beyond ourselves in vivid realization of another’s emotions. When someone tells you a story, you may project yourself into someone else’s situation to understand how you would feel “in their shoes”. It is easy to imagine how they feel but to truly understand someone else is not only knowing about the feelings and thoughts of another but knowing how that persons is affected by their experiences. You must simulate their entire experience in your mind by perceiving yourself in the setting while taking into account other persons’ emotions during the situation. Both Cognitive and Affective empathy are distinct methods to understand another’s perspective , but the combination of the two helps us truly understand experiences beyond ourselves in vivid realization of another’s emotions. Thus far I have introduced the core ideas of empathy. While explaining the design process, I will describe how the organization, One Laptop Per Child (OLPC) has failed because of it’s flawed design process. The current most popular design process can be thought of as three themes rather than linear steps. These three themes are inspiration, ideation and implementation. The design process is also rooted in what humans desire, what is technologically feasible, and what is economically viable. During the inspiration phase, the designer identifies a problem or need that many people are experiencing. OLPC’s mission is to power the worlds poorest children through education. This non-profit organization observed that much of the worlds early education systems are not to standards that they could be. By using a laptop as an education tool, children would have access to a better education and thus a better future. The non-profit that went on to the ideation phase. They hired Yves Behar, an award winning and very famous industrial designer to design the product. When observing classrooms in developing nations, OLPC saw the tough conditions in which the students lived. They saw that they lived in remote areas and would be traveling long distances to school. They saw that the laptop would have to withstand extreme environmental conditions like heat and have to be durable for tough conditions. For the product to be economically feasible, the manufacturing cost of goods would have to low enough to be sold for retail $100 USD. Behar took these requirements and designed a laptop that definitely looks like it is intended for a child. The outside form is very soft, not only because of its rubber material but also its form has large and rounded angles. The organization created the interface to be easy to use for a child, created educational applications, and made the ability for the students to connect wirelessly in the classroom. They also implemented an internet system that could be used in remote areas. Once the laptop was prototyped, the product was ready to be implemented in developing nations. The business plan for OLPC was to sell laptops to the governments of nations so each individual nations can implement the technology into classrooms. The laptops obviously seemed like a great idea to the leaders of the nations because they felt that giving students the gift of technology as a tool to enhance literacy is clearly positive. OLPC took orders for millions, but once the laptop was ready to be shipped, and the sell price rose to $188, nations realized they could not afford the products and bought less. Many people in these nations were angry at their governments for buying technology when there are larger issues like disease and malnutrition (Yujuico). Most feel that One laptop per child is a failure for some key reasons. Once the students received the laptops, they had access to the internet which gave them a larger perspective; mostly a western perspective. The students began to question their own customs and cultures and were influenced by western standards (Yujuiko). Culture being very important in the conservative nations that OLPC targeted made the parents of the students resentful towards the technology. Therefore, it became difficult to further distribute the product to markets where there was negative criticism. The Laptops were made with a Westerners perspective from keyboard to the icons on the screen. (Yujuiko) The software featured personal individuality which is not understood in some cultures. Another reasons for failure was that the laptops were sold without a robust plan for customer relations and repair for such a global market. Teachers were not trained to use this educational tool and at times were not implemented in the classroom. Also, there were no experts to resolve malfunctions or difficulty using the software. OLPC used empathy in the beginning of their design process by identifying the user and where they lived geographically, but was not enough to create a successful product for their target user. They identified an issue with an inspiring solution; to implement an educational tool to enhance literacy in developing nations. What they did not realize is that each population have their own customs and culture and that It is absurd for the organization to implement a “one size fits all” standard when their users are drastically diverse. Designers must effectively practice skills to understand and formulate information by imagining the lives of others. They can then form narratives that will give them insight that they would not be able to acquire through data and analysis. They must pay attention to those around them to observe how they live and understand their own distinct experiences. It is important to live their physical actions, feel their emotions, and predict how they will use what is designed for them. I believe that formally researching users and documenting data is not the best method to form insight that informs designs. Other methods, such as fictional story telling and the implementation of activity centered design can influence design decisions in more insightful ways. A critical method that can be added to the design process to further enhance how the designer understands a user is storytelling. Stories are a journey that the listener can explore many times. Storytelling also has the aspect of discovery and when telling a narrative, we use our imagination and creatively to invent scenarios and data that we could not obtain through analysis. By changing different variables when making different iterations of a story, we can discover the potential of different interactions. The designer can create characters with the help of user data but the data does not predict the experience of the user. By using this method, the designer can better understand the user by identifying their potential lifestyle and personal experiences they might endure at some point in time during their life. The design story can be very useful during the design phase as well. When exploring a certain design feature, narrative may be used to evaluate the value or role of that particular feature. Different features can be plugged into the story to further analyze the solutions to then choose an appropriate design feature. Story telling is also important to communicate designs. The story can be used to depict ideas to others on the design team or clients. The narrative may become more concrete when the entire experience is depicted rather than something purely visual. Story boards are a great tool to use when evaluating design solutions. The storyboard may be visually shown to show a user or someone testing the product how to experience it and well help others feel empathetic towards the problem and the user. It may also be used as an instruction manual when evaluating the solution by helping people test the products by understanding use and activity scenarios. Designers may think that they are involving empathy and understanding of users when they partake in user research. It is suggested that this involvement of research is categorized as human centered design. This concept includes knowing the user and having a deep knowledge of people. Although this technique is enacted, I would argue that human centered design has made many confusing products. Yes, human centered design solutions have improved usability, created fewer use errors, and increased learning time periods, but there are still harmful effects. Human centered design becomes concerning when a solution is focused towards an individual user. Research is based around statics and don’t necessarily inform the designer about the person. The data includes detailed personas like age, gender, profession, and we don't need to know that one of the users is a 35 year old single father who works as a dental assistant. Therefore this method creates a solution or product that will improve their life, but not for everyone. Targeting a population will have distinct qualities and needs unlike and other population group. It is also important to understand that the people that you are designing for today will not be the same tomorrow, and are constantly adapting and evolving to the world around them. Although this adaption is important, people should not have to adapt to products and technology but the technology should be adapting to users. It is not sufficient enough to assume that one is creating a great design solution because they are recognizing the facts of a user like their profession, age, gender, etc. The same goes for tests because while evaluating a design solution through small scale user testing will definitely give the designer insight, but should not speak for their intended market or user population in entirety. Instead of human centered design, designers need to focus on the activities when sketching to better implement solutions. Activities are composed of tasks, tasks are actions, actions are operations. By breaking down what people are doing, designers can better understand how that user thinks and feels about the situations they are in. Mobile phones have calendars, texting, scheduling applications, etc. Their use involves one activity but includes tasks. When software developers design these products people are expected to understand these interfaces. None of the tools in the phone adapt to the people, but the users are expected to adapt to the tools. Is this case, activity centered design is a failure because the activity is designed for the user without taking into account how many different users will understand how to use it. Sports equipment for example is ubiquitous globally. Of course, culturally the world is diverse, but the equipment is generally used in the same ways. The sport is an activity, and by understanding that activity, sports equipment has improved because designers understand how all people use these products, do not design the activity for the user, and don't necessarily need to understand the statistical data of the user. Another example of successful activity centered design is the auto industry because in the beginning there were many different operational configurations. Of course the car was influenced from the horse drawn carriage, and eventually the activity of driving was understood. Manufacturers realized what the easiest way to drive was and the multiple configurations evolved into a current automobile controls where the throttle control is on the right and break on the left. Human centered design does guarantee good products for a specific user. Greater design can be achieved by understanding what the user is physically doing or how she is perceiving the products. We shouldn't replace human centered design with activity centered research, but use both processes simultaneously to truly understand activities and empathize with individuals who have an affect on those activities. We shouldn't replace human centered design with activity centered research, but use both processes simultaneously to truly understand activities and empathize with individuals who have an affect on those activities. Some products tell stories, reference ones own knowledge and personal experiences, and make people feel certain emotions. To develop these types of products, the designer must use empathy and understanding of the user in the design process as I stated previously. It would be impossible to suggest context to a user without understanding the experiences and cultural connections of that user. The directions in which a designer can influence emotions and reactions to design can be reached by categorizing the direction in which a design solution is advancing. French designer Phillip Starck uses poetry and comedy to communicate messages. He has made a career out of telling stories through his products by evoking light hearted emotions. One of his most famous creations, the Juicy Salif lemon squeezer is an Industrial design Icon and has been exhibited at the MOMA. The squeezer isn’t at all functional but is so playful and distinct that it definitely functions as a conversation starter. Stark gained his inspiration while eating octopus at a Japanese restaurant. He quickly sketched different forms on a napkin, abstracting each form as he iterated, and finally sketched the final form. We understand the juicer as referencing an animal because of the mass of the body and how it connects to the thin bent legs. The mini cooper automobile is another example of fun design. The New York Times reviewed the vehicle in 2003. The article reviewed that the car had many faults but that we should by it anyway because it is so much fun to drive. The inside and out is fun, has rounded forms, and is a unique experience. We understand the car as fun because of its youthful and unique qualities. When sitting in the drivers seat, I almost felt as if I were at the controls of a spaceship. the interface and dials expand the entire dashboard. There are many switches, knobs, and lights which makes switching any control a very unique and immersive experience. Italian designer Stefano Giovannoni uses nostalgia to inform his design decisions. 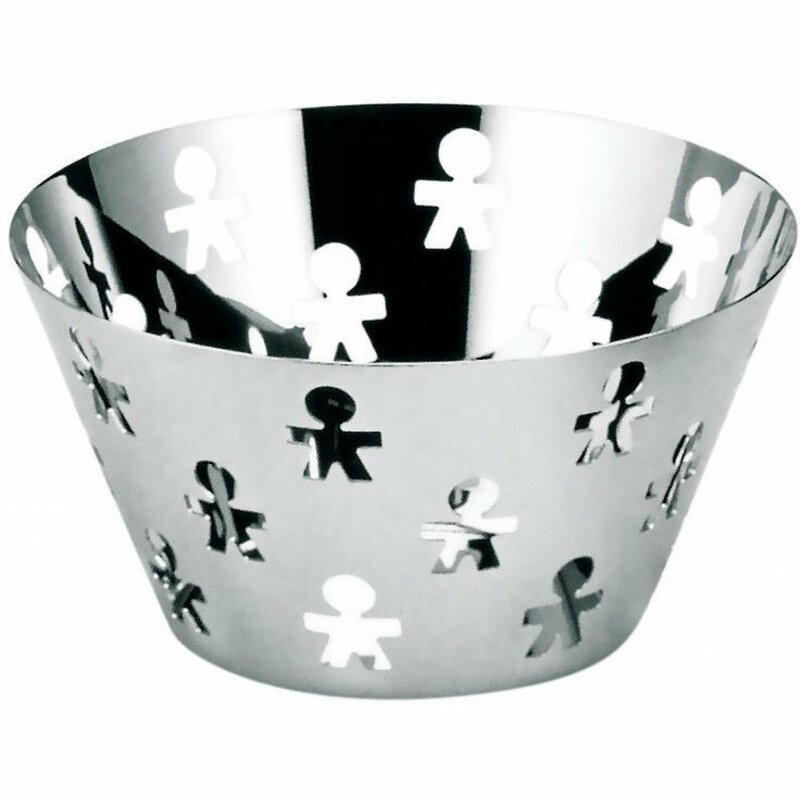 One of his product lines “Girotondo” (meaning the children’s activity ring around the rosie) for Alessi is has the record for highest sales and is heading towards 10 millions products sold (Andrea Chin) .The products are simple, steel and plastic tableware, but have a unique decorative elements of simplified human forms array the bowls. The round form of the products directly references how children hold then as a group revolve in the game “ring around the rosie” .The images also reference paper dolls which is another common childhood game. this products taps into the memories of many by referencing childhood activities that is culturally ubiquitous. The product is something many can identify with and therefore they want the product. Without they textual name connected to the visual decoration, the contextual story of the product would be misunderstood. Another kitchen product by Giovannoni is his Mami series. He created a line of cookware that is very similar in form to the most popular Italian cookware during the 1940’s. People bought the re-appropriated form because it was a reminding them of their grandmothers cookware. The nostalgic feeling people felt was more valuable then the beautiful forms. Giovannoni realized the potential of cultural experiences that entire populations have experienced in some point in their lives. By referencing memory in his products, he grabs the users attention to feel personal emotions beyond the objects initial objectivity. People feel a certain way when owning products and they feel they are perceived as certain way as well. They may feel that the qualities of a brand or product or reflective of how they want to be feel or be portrayed by others. A clear example of this is conspicuous consumption. Some buy luxury goods to display their own economic power ; a tool predominately used when marketing fashion. 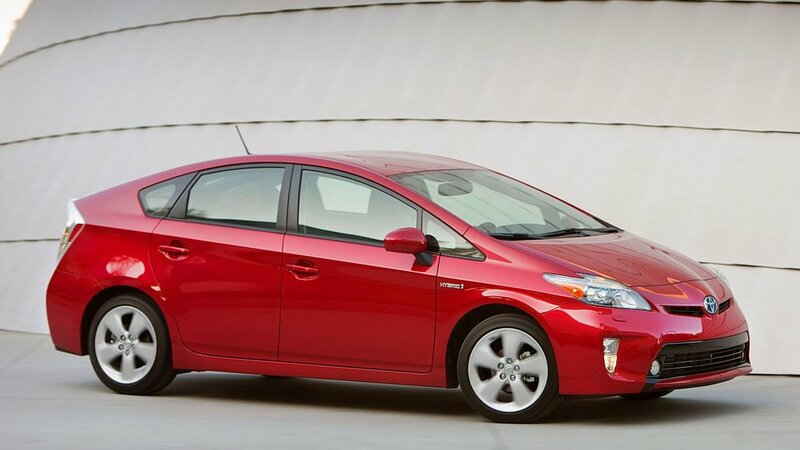 The Toyota Prius was the first hybrid electric vehicle. Business week magazine has continually put the Prius on it’s list of ugliest cars but that is not stopping many from buying it. It is to be hoped that no one would want the aesthetics of the car to reflect on them but consumers who want to do their part and feel sustainable also want to be perceived as environmentally sustainable. Designers must understand how people are perceived and how they want to be perceived as well. I user will not buy or use a product that doesn’t fit their “look” or moral beliefs. Another product, The Axor Starck Organic is a sink faucet that clearly references nature. On Starck’s website, there is a video animation showing a plant growing and eventually transforming into the faucet. Another view shows a partial silhouette of a man and his arm and torso gradually evolves into the form of the faucet. This video narrative is very clear, but by glancing at the faucet, you can understand what stark is referencing. Running water is a very natural phenomena and obviously occurs in nature. by referencing natural forms, stark is using metaphors to suggest the action of running water, and therefore making a functioning faucet easier to understand in the context of our manmade lives. Referential design is similar to design as memory because both methods allude to inanimate objects or intellectual ideas that are widely understood. The user instantly understands what the product references a thus the interaction creates an intimate relation between the user and the product. The visceral experience is relating to how you feel without being overtly intellectual. With products, it has a lot to do with your own taste and includes color and form among other design principles. 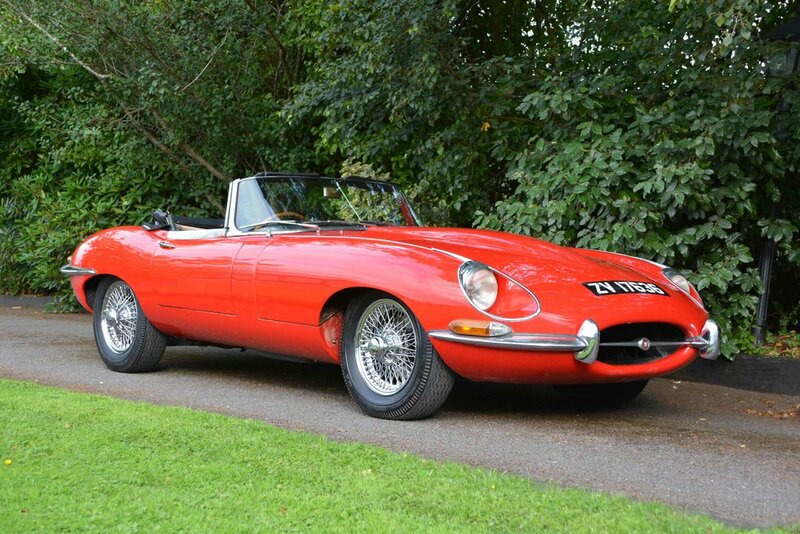 An example of this is a red 1968 Jaguar. Its not a reliable car or inexpensive to repair but of course adored for it’s beauty. It is easy to identify design styles and current trends. Consumerist culture has a current obsession with minimalism and simplicity of products that are absent of visual metaphor. Minimalist product design was popularized by German designer Dieter Rams and he had the belief “less but better”, and that products should be unobtrusive. His products are highly regarded because of their simplicity, balance, and ways in which the elements harmoniously work together. Creating a visceral experience through design is showing the user that care and consideration was given to the design process to create a visually pleasing product. It is tapping into the subconscious of the user so they understand that all elements of the product are aesthetically balanced and beautiful. Our instincts let us know if something we’re looking at is obtrusive or beautiful when experiencing a product viscerally. Behavioral design lets the user feel in total control. The user should also be able to use the product easily and understand the context of the product. This sect of design has a lot to do with emotion, and because emotion is how we interpret the world it very hard to influence emotions and behaviors by literally changing the world the user lives in. We all know that habits are difficult to stop, and behavioral design attempts to change or initiate habits. Mobile and web applications are an example to enact behavioral design principles. Facebook for instance changes the way we communicate with our friends. A pedometer application on our phone makes us realize how many steps we take, or another keeps data on how much coffee we drink. We use these applications to create self awareness and through use we will eventually change our habits. Designers can make solutions more marketable, meaningful, and most importantly more human if empathy is considered during the design process. By understanding the basic principles of our own empathetic abilities, designers can accurately predict and evaluate how others think, feel, and experience situations. The analysis helps designers enact empathy into the design processes by creating stories to better predict the outcomes of design solutions. Designers can further communicate and evaluate solutions by further improve the design narrative. Also, by better understanding how people experience their problems and activities, we can better create solutions that improve the quality of life when performing certain activities. Lastly, empathetic design solutions can be evaluated and classified into distinct categories. This better focuses the direction in which you want to design to clearly communicate the message and experience you are selling to users. In my opinion, great design involves processes that go beyond instincts or wisdom. The solution should not be egocentric or specific needs of a particular user, but should understand the experiences, emotions, and thoughts of many. Priesnitz, Wendy. "Tiny Houses, Tiny Neighborhoods." Natural Life, March 1, 2014. "Our nomadic future; A wireless world.." The Economist, April 12, 2008. Terando, Adam, Jennifer Constanza, Curtis Belyea, Robert Dunn, Alexa Mckerrow, and Jaime Collazo. "Southeastern Megalopolis - the Present Path of Urban Sprawl." PLoS ONE, July 2014. Grecu, Veronica. "living large in small spaces." Multi-Housing News, September 2013. Kohl, Ines . "Modern Nomads, Vagabonds or Cosmopolitans: reflections on modern Tauregs." Journal of Anthropological Research, Winter 2010. Barley, Nick. Breathing cities: the architecture of movement. Basel: Birkhäuser, 2000. Quinn, Bradley. Design futures. London: Merrell, 2011. Tiny homes : simple shelter : scaling back in the 21st century / Lloyd Kahn. Erickson, Thomas. "Design as storytelling." interactions 3.4 (1996): 30-35. Decety, Jean, and William John Ickes. The social neuroscience of empathy. Cambridge, Mass. : MIT Press, 2009. Print. Decety, Jean. Empathy: from bench to bedside. Cambridge, Mass. : MIT Press, 2012. Print. Kouprie, Merlijn, and Froukje Sleeswijk Visser. "A framework for empathy in design: stepping into and out of the user's life." Journal of Engineering Design 20, no. 5 (2009): 437-448. Bensley, Jill , and Michael Beyard. "Revival of the American city." Urban Land 66, no. 4 (2007): 1-120.